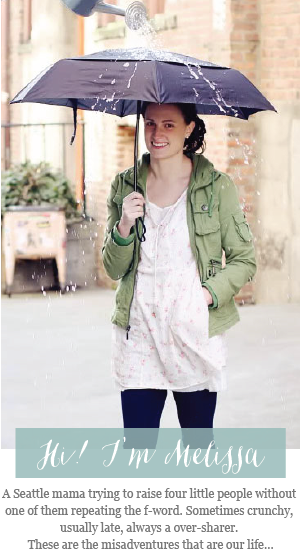 while it rains: Things We Love: The Bird + Elephant With A Giveaway! Things We Love: The Bird + Elephant With A Giveaway! Closed: Congrats to our winner Chelsea Thom! I have been dying for months now to share this shop with you! You all know that I love a good hand-made brand and The Bird + Elephant is definitely my new favorite. They do a little bit of it all - Bibs, modern clothing, teethers, rattles, bedding, wall decorations and more! Robin is a d r o o l e r, so any bib, especially a good one really comes in handy. 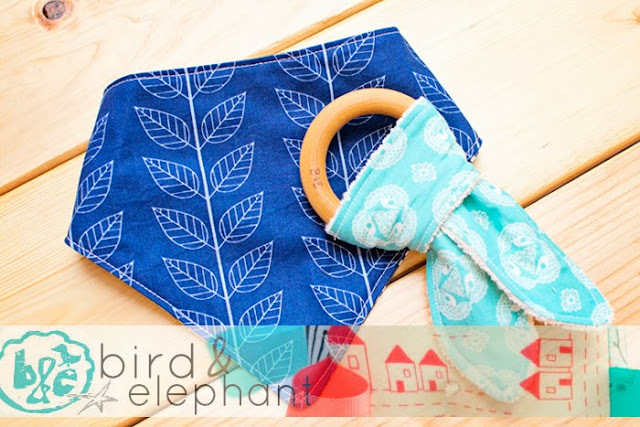 I love that The Bird + Elephant bibs are two sided for switching to a clean side on the go. I was blown away by the quality and craftsmanship - The fabric is bright, soft and guaranteed to see your little one through toddler hood and all the laundry that entails. My favorite part? It is so well priced! The perfect item to add to a baby shower gift. How cute is this bib (and the baby wearing it)? What goes better with a bib then a teether to get it good and soaked? Made in 100% organic (GOTS certified) materials all the way down to the thread. The wooden ring is natural maple that has been coated in olive oil and a protective beeswax coating. When it needs a wash you just toss the fabric portion in the wash with a baby load. The knotted fabric is perfect for easily getting back to those painful molars - Robin was in love at first chomp. So many gorgeous fabrics to choose from! With Christmas just around the corner this is the perfect time to stock up on fun hand-made baby stuff to give all those babies in your family! Beth of The Bird + Elephant and I have teamed up to give one of my readers a $20 credit to her shop! Entering is easy - Just follow the rafflecopter instructions below. The giveaway will run for two weeks, until October 14th at 8pm PST. Good luck and have fun! We received a bib and teether complimentary from The Bird + Elephant. All words and opinions are my own as I would never promote a brand that I did not stand behind. I love all the bandana bibs. I need to get some for Carsyn so he doesn't look like a baby when he wears them since he is three years old now. Oh man, I think it's a tie between the bibs and the teethers, they would both some in handy with baby Charli, since she is a crazy drooler! None of my girls drooled like Charli does; it's nuts! I love the Soft Baby Block Toy in the Red, White, Blue, Mint - Vintage Inspired Nautical Patriotic. SO cute! I also love the Jade Teal Teether. Just entered. And can we just talk about how cute Robin is? Love him! Hard to choose, everything is so cute! Love the bandana bibs! 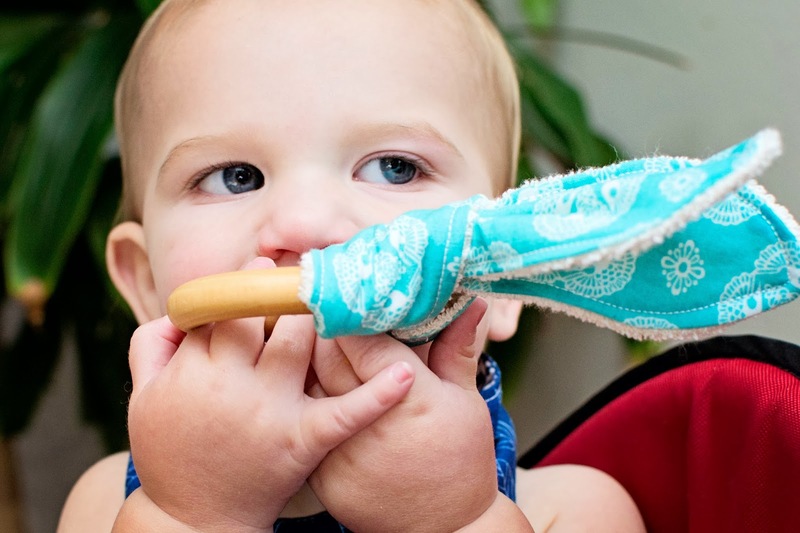 I am in love with the teether & block combo... awesome baby shower gifts! LOVE the grey lime paper cranes bib! So cute! Love the Baby Bunting Bodysuit!